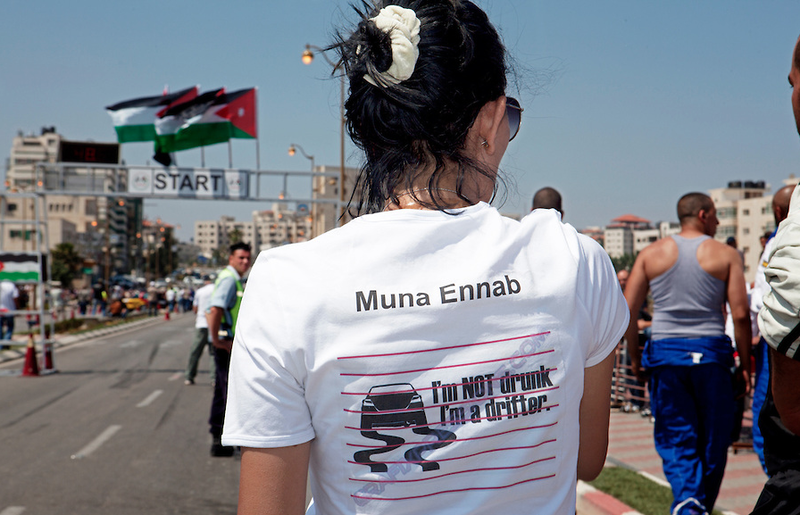 Speed sisters – Palestinian ladies who rally. 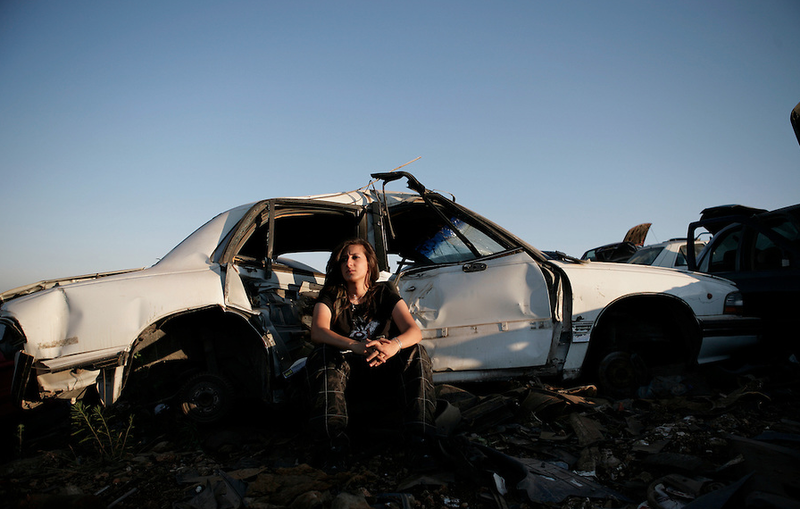 Tanya Habjouqa is a photographer who was among the first people who introduced the world with Palestine’s Speed sisters, through her photo series Ladies who rally. Meet the Speed Sisters, the first all-female auto racing team and part of the Palestinian Motorsport and Motorcycle Federation. 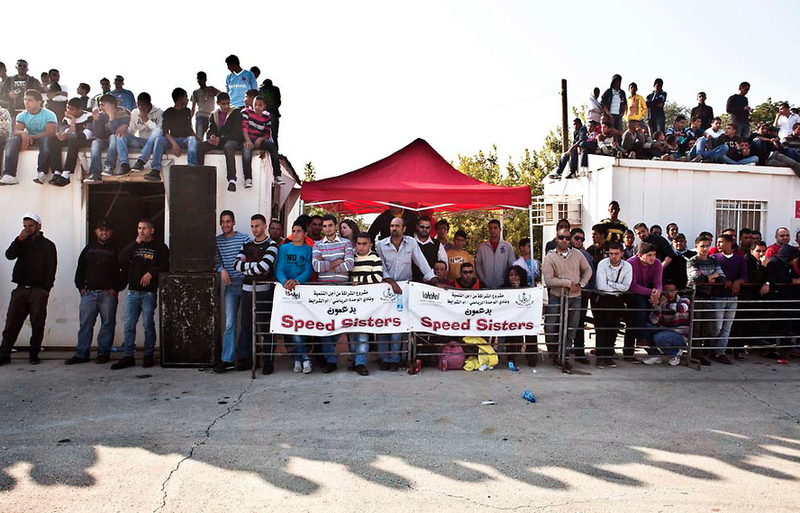 Composed of six women, the Speed Sisters represents the diversity of what Palestine has become with racers hailing from the fragmented corners of the West Bank and showing the differences in lifestyle determined by the varied economic opportunities of cities divided by checkpoints, settlements, walls, and different ID cards. 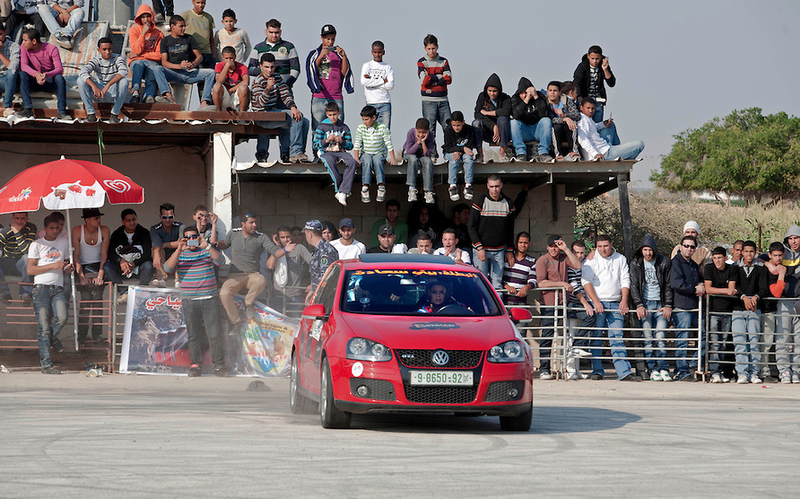 Despite the economic, geographic, and political limitations, the racers improvise and make do like everyone else in Palestine. They throw down traffic cones wherever they find free space to train. A favorite site lies in the shadow of Ofer Prison, one of the largest Israeli prisons in the West Bank that was built to accommodate the mass arrests of the second intifada. Here and in abandoned lots and empty Friday afternoon fruit markets, the racers practice. 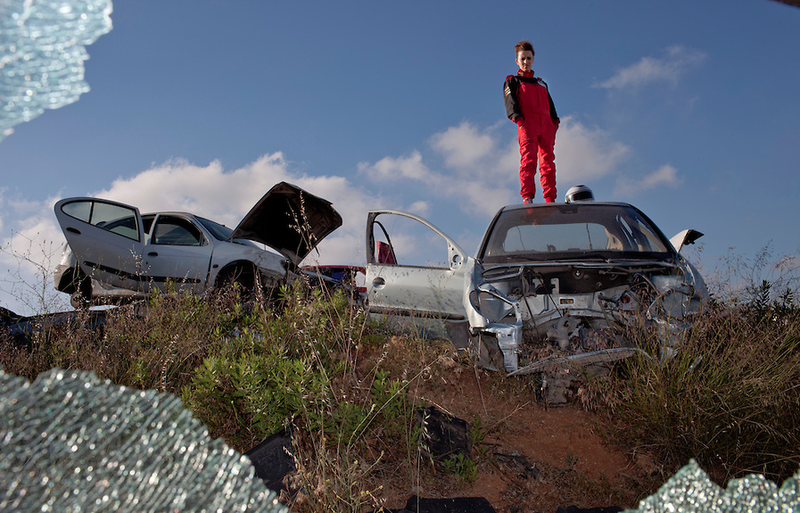 Speed Sisters is the first all-women race car driving team in the Middle East. They’re bold. They’re fearless. And they’re tearing up tracks all over Palestine. Help us bring their story to audiences around the world! Let’s make it a Speed sisters movie! Spread the word and – for more info and updates – follow the Speed sisters via their facebook page. → Haifa University drowns out Nakba commemoration with dance music. 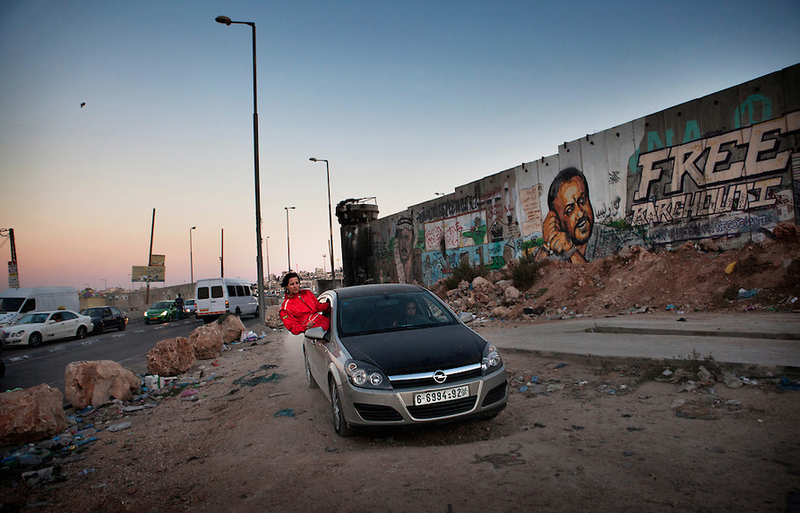 ← Capturing change: From mistress of Cairo to Martyrs of the revolution.